YouTube/WatchTowerA screenshot from a video taken onboard Aerolineas Argentinas 1303, Thursday, October 18. An Aerolíneas Argentinas flight from Miami to Buenos Aires experienced “severe intense turbulence” while flying over Brazil, leading to injuries sustained by 15 passengers, according to multiple reports. USA Today reports seven passengers were treated upon arrival at Ezeiza International Airport, with the remaining eight taken to a hospital. According to Flight Aware, Aerolíneas Argentinas Flight 1303 departed from Miami en route to Buenos Aires, Argentina at 9:16 a.m. on Thursday, October 18. The Daily Mirror reports that with 192 passengers on board, Flight 1303 experienced “terrifying conditions” as the plane passed over western Brazil. Aerolíneas Argentinas did not respond to Business Insider’s request for comment. 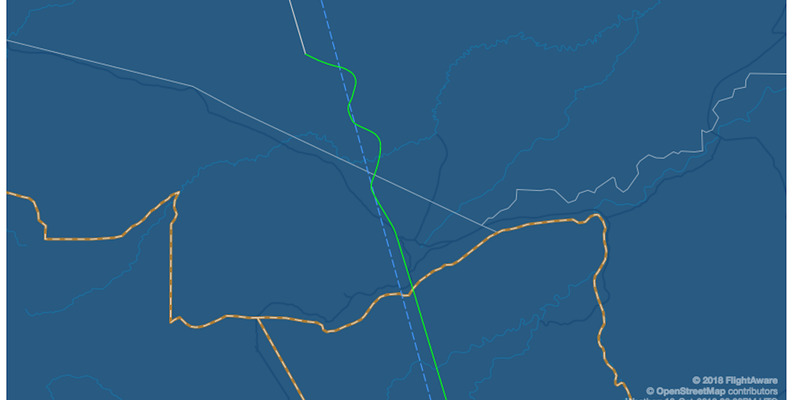 In a screenshot of the Flight 1303’s path shown below, the rapid velocity changes the plane experienced can be seen in the sudden zig-zag formation diverting out from the flight’s previous straight-line path. Brian Pascus/Business Insider via FlightAwareA screenshot of the route taken by Aerolineas Argentinas 1303 as it flew over western Brazil. 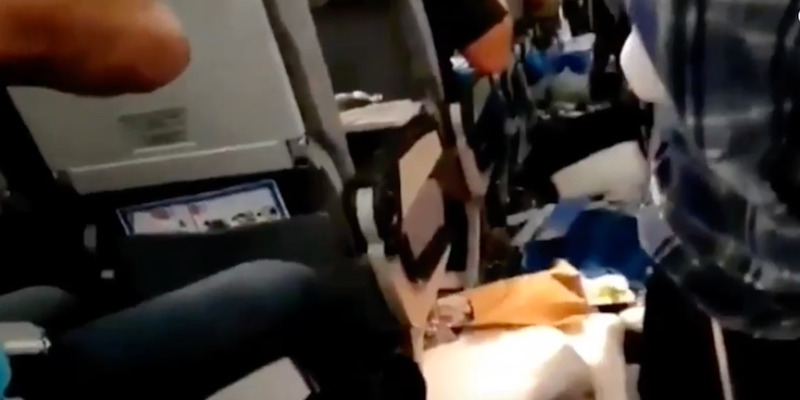 In videos posted on YouTube by those onboard, shaken passengers are crying and some are holding tissues covered with blood. Photos posted on social media by those who were onboard paint a terrifying picture of what occurred when the turbulence struck. Food, debris, luggage, and clothing are splattered all over the plane and oxygen masks can be seen hanging from the ceiling.